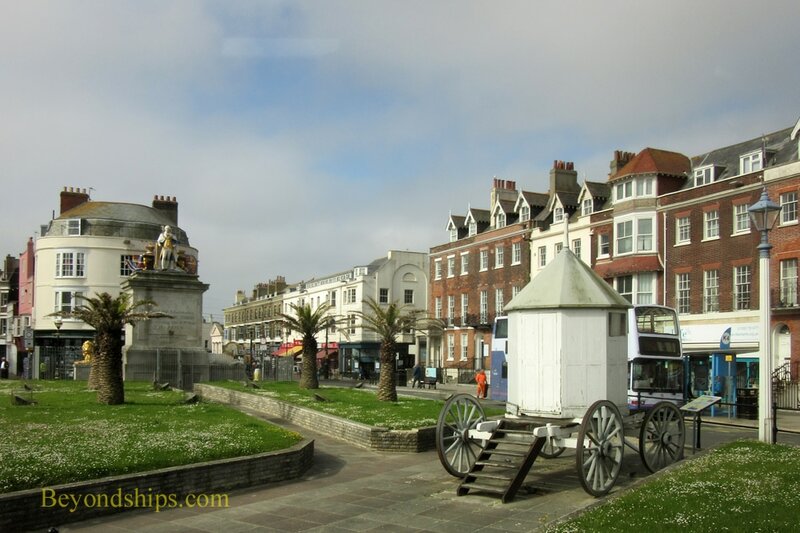 Above: A statue of King George III and his Bathing Machine (foreground) on the Weymouth sea front. ​Below: Another royal statue - Queen Victoria. Right: Weymouth beach on a summer day. Below: Weymouth is also popular with yachtsmen. 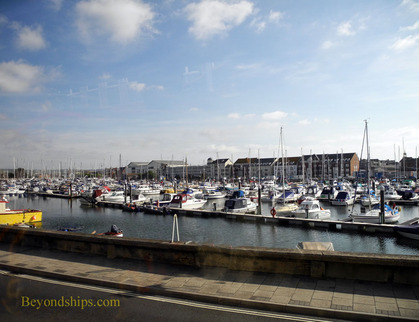 The nearest large town to the Portland cruise port is Weymouth, which has a population of approximately 53,000. Although the town dates back to the mid-12th century, tourism has been its main industry since the 18th century. King George III really put Weymouth on the map. 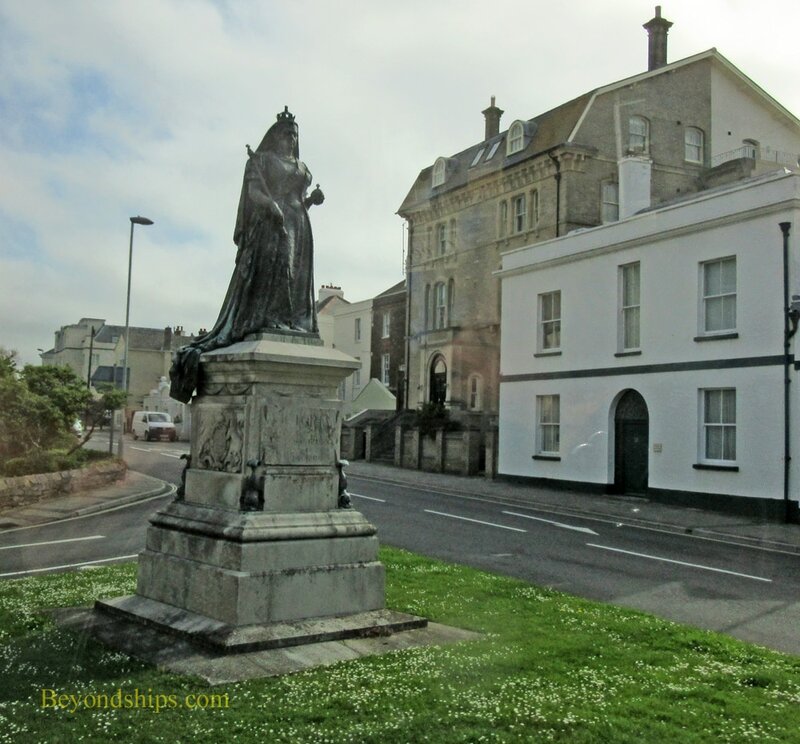 Between 1788 to 1808, the King came to Weymouth 14 times. It was believed that the sea water and air would help to restore his mental faculties. The King would enter his enclosed "Bathing Machine" fully-dressed. While changing his attire, he would be wheeled into the surf and then descend its steps into the water wearing his bathing costume. The Bathing Machine and a statue of the King still highlight the sea front. 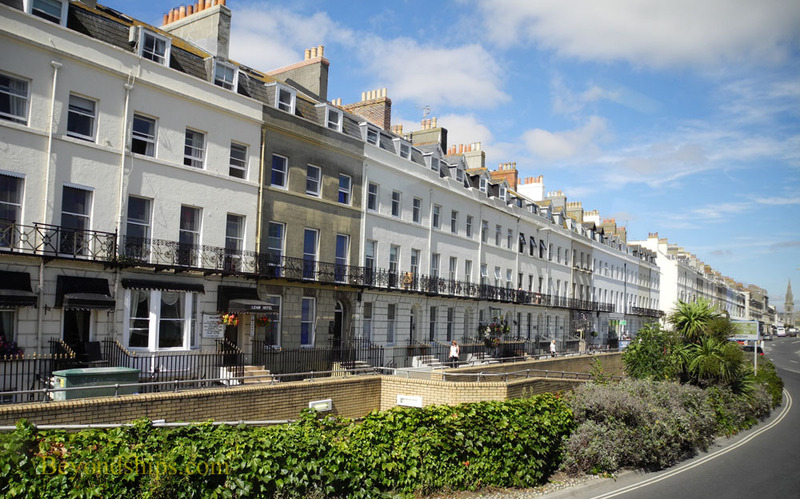 As the town became fashionable, the wealthy built townhouses along the sea front. Examples of these Georgian and Regency style buildings grace The Esplanade. 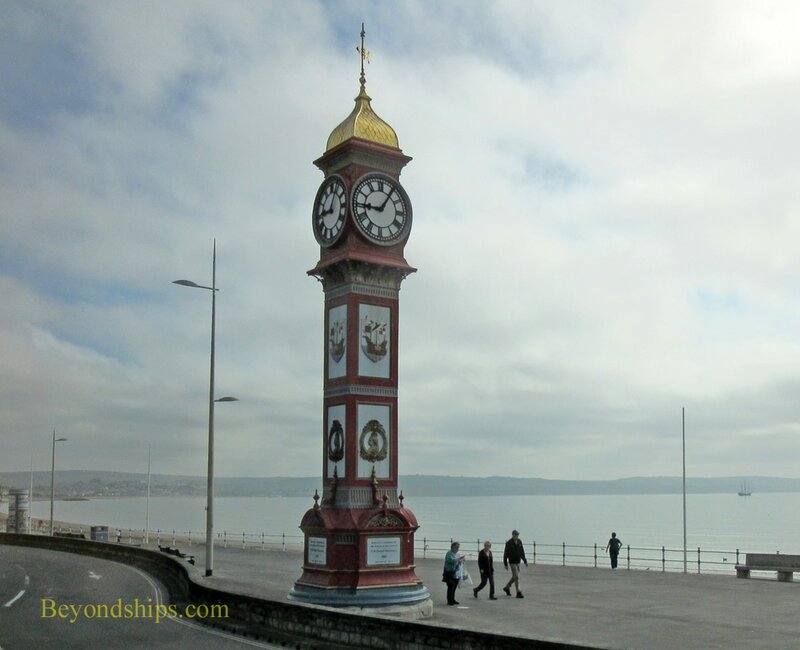 Another landmark of the sea front is the Jubilee Clock, erected in 1887 to celebrate Queen Victoria's Golden Jubilee. Weymouth's three mile long sandy beach remains its greatest attraction. Nearby are cafes, restaurants and other amusement venues. Each year, hundreds of events such as fireworks displays and beach volleyball tournaments take place in Weymouth.